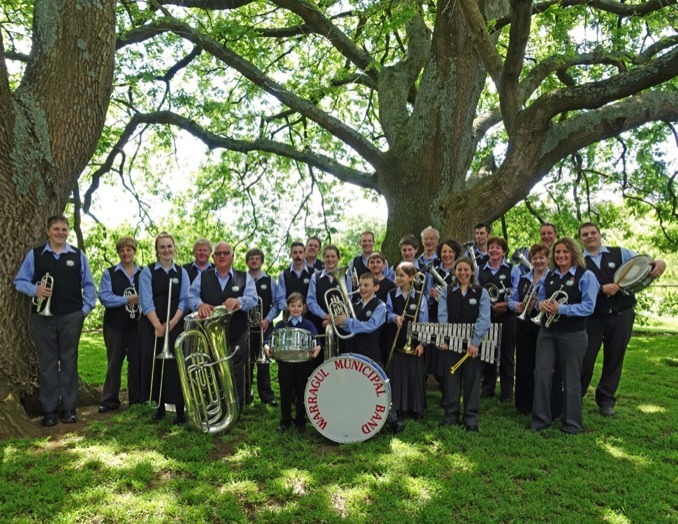 The Warragul Municipal Band are a community founded and sustained organisation with a love for brass music, based in West Gippsland, Victoria, proudly serving the Shire of Baw Baw. Our band consists of an enthusiastic collection of musicians. Being a brass band, the majority of players specialise in various brass instruments, with the addition of some tuned, rhythmic and kit percussionists. With regular performances, and the wonderfully enthusiastic direction of our very talented Benjamin Sim, the band's musical entertainment is in constant demand. There are many ways to get involved with the band, whether or not you currently play an instrument. We welcome anyone willing to assist in the administration or logistics as well as in the music the band produces. New players are always welcome. So whether you have amazing talent to share, a past skill to rekindle, an instrument you'd like to learn, or a strong vehicle with a towbar, come and say "hello", or pop in to a rehearsal.